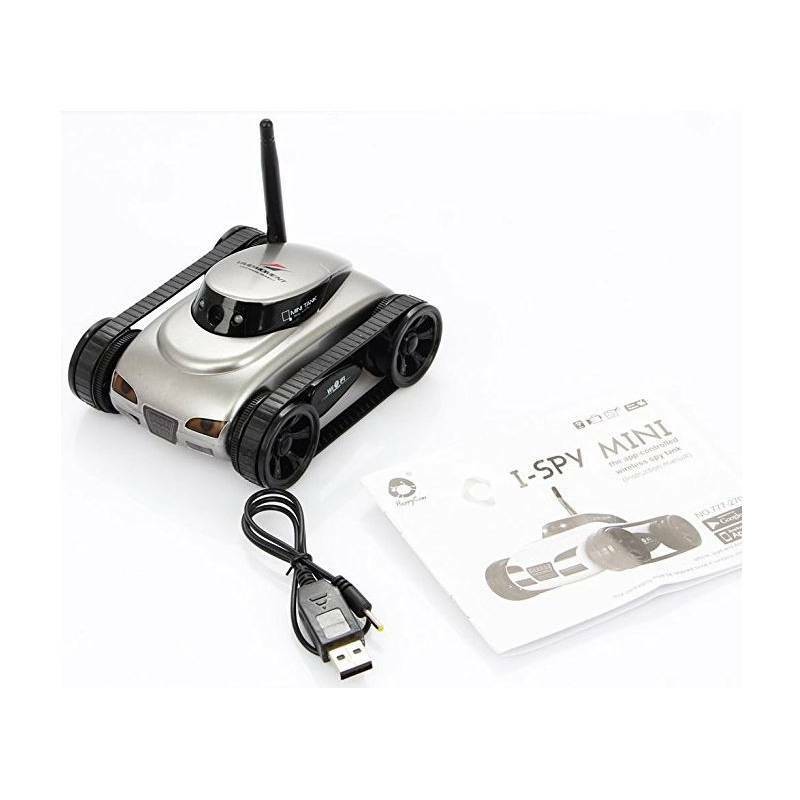 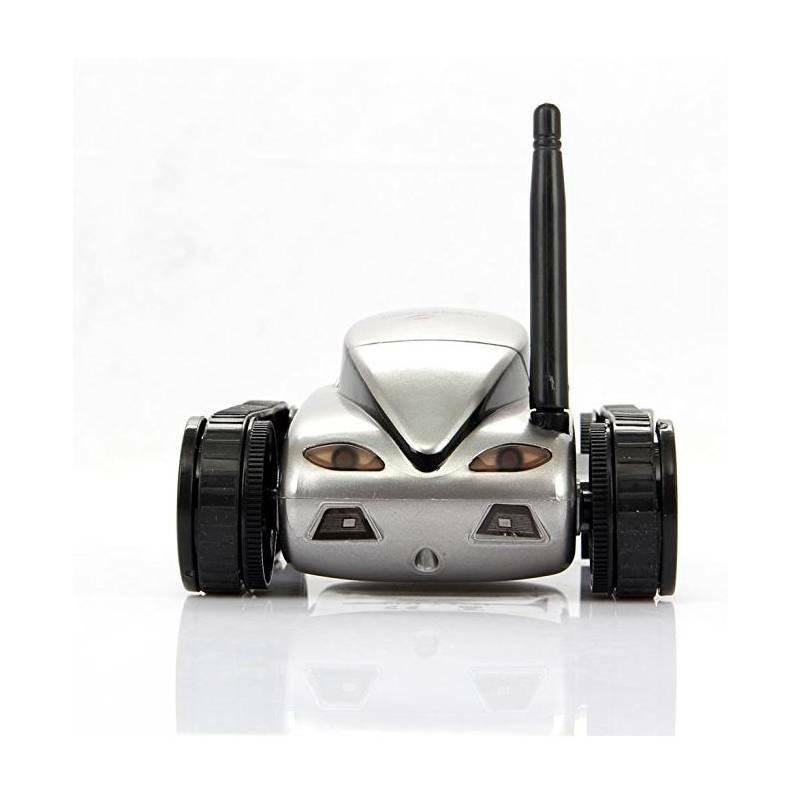 HappyCow I-Spy Mini Tank, WiFi Control, 0.3 MP Camera, Remote Control by IOS or Android. 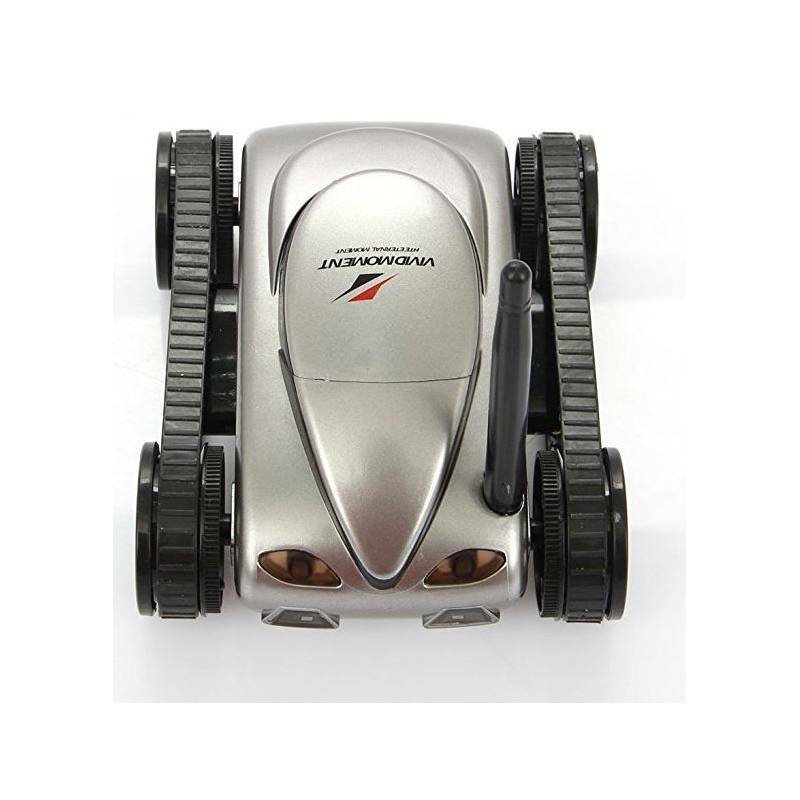 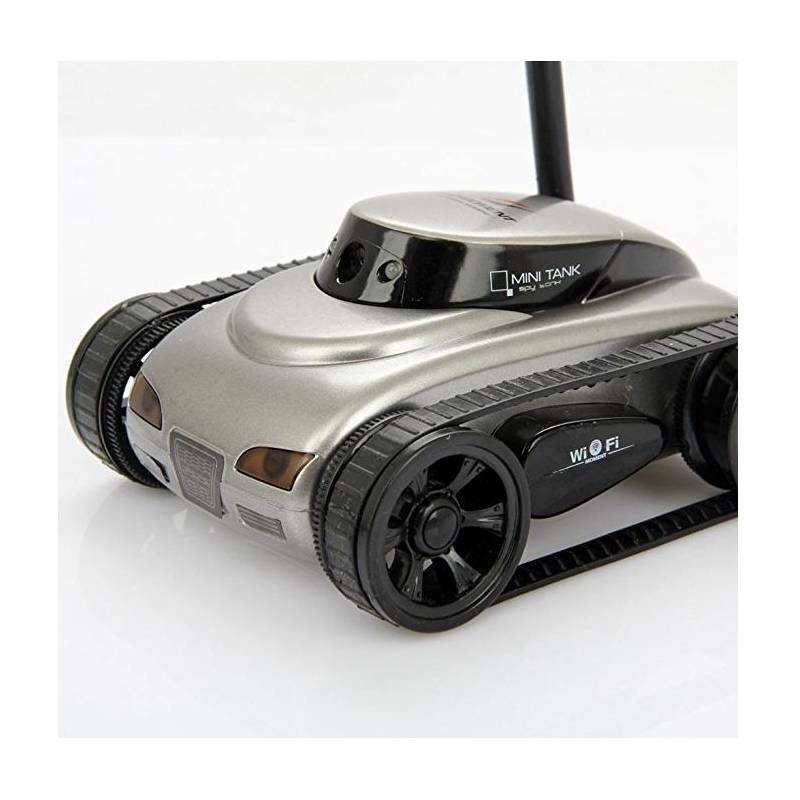 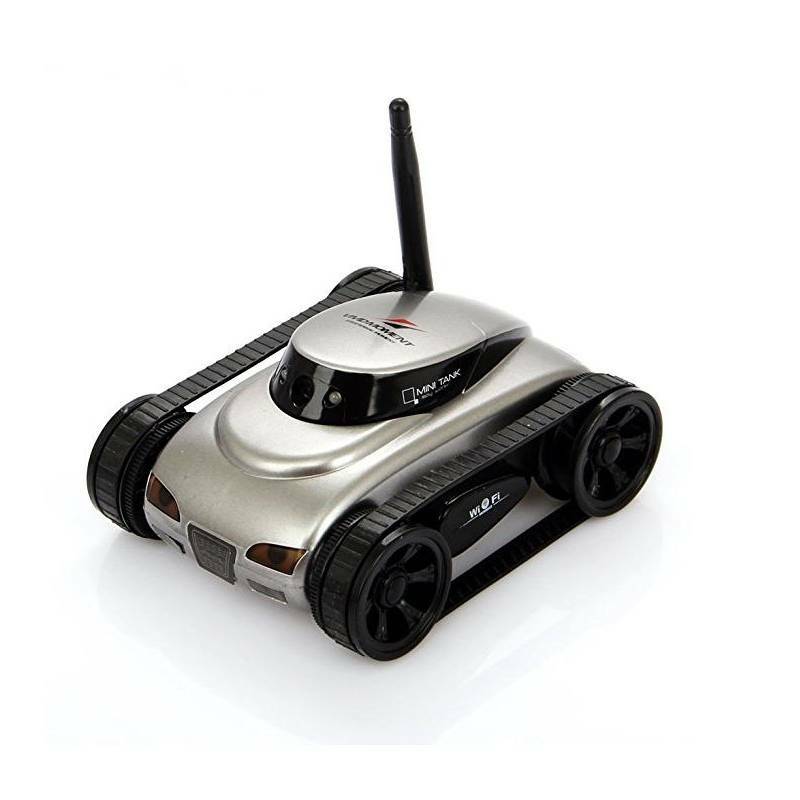 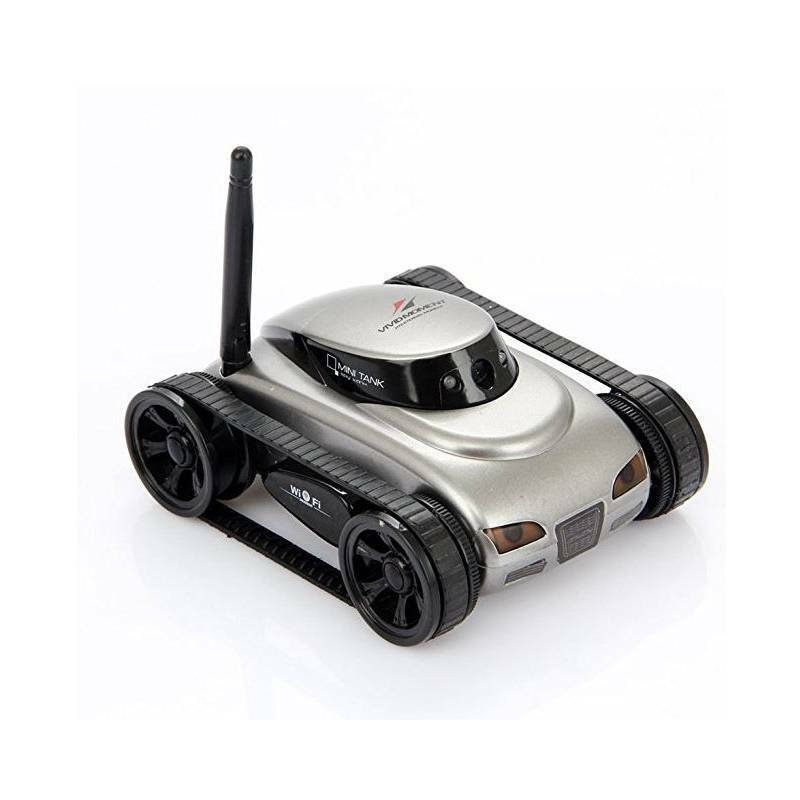 This RC car is controlled by IOS or Android smartphone/pad App (Name: I-SPY SERIES), and connected by Wi-Fi. 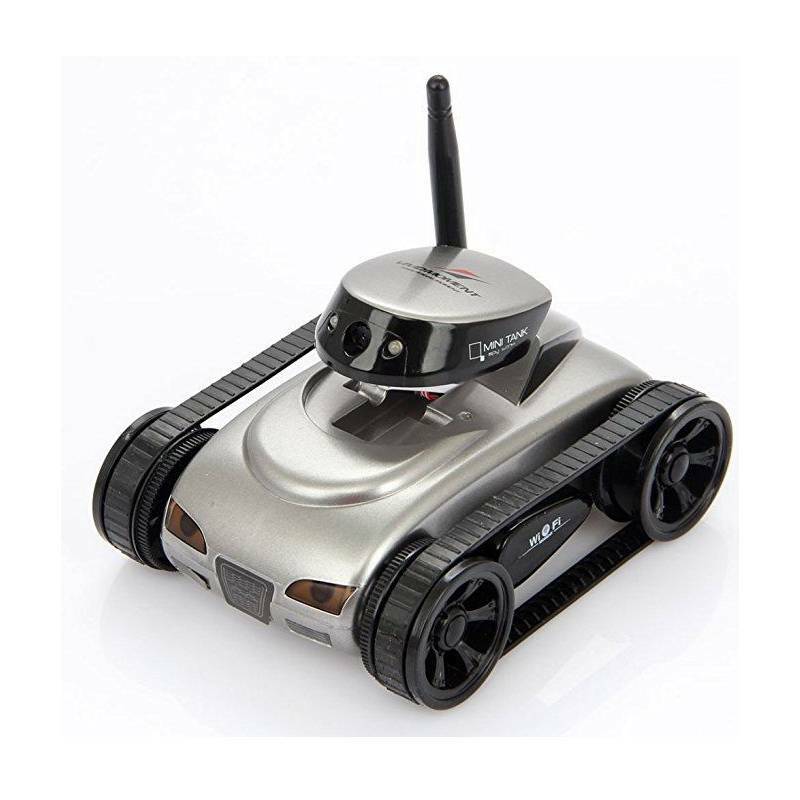 It supports WiFi real-time video transmission, and you can take photo and record video when the tank is running. 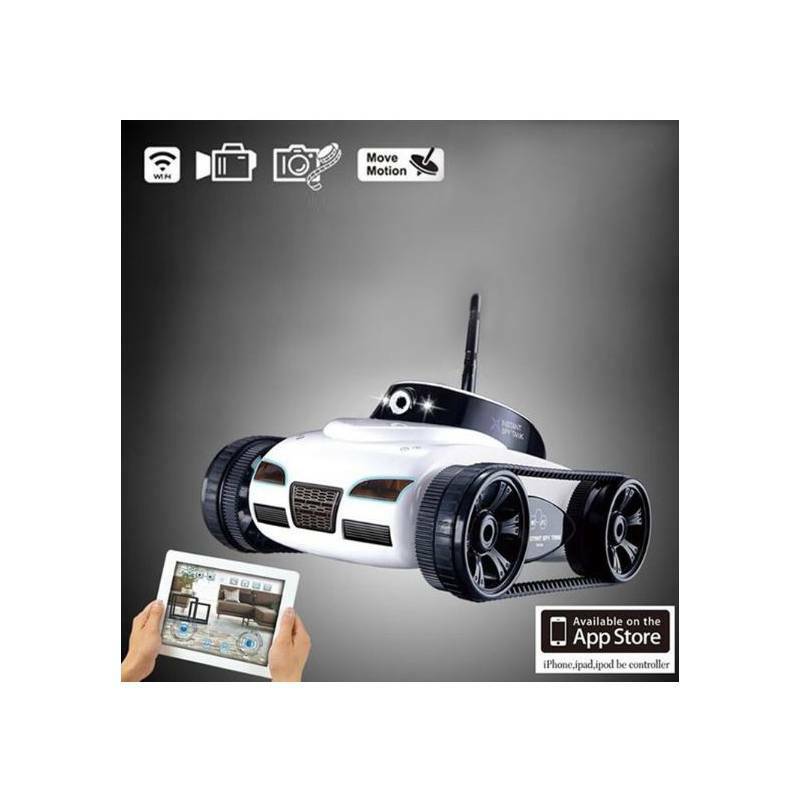 You can adjust the angle of camera to get more different frames. 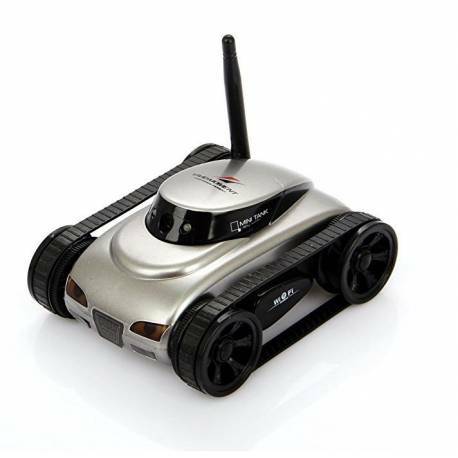 It supports accelerometer operation that can run by using the device's accelerometer.